So the pike season is back on, sure it’s still cold outside and some days even snowing, but there is pike to be caught. As march approaches the pike fishing will become magical. 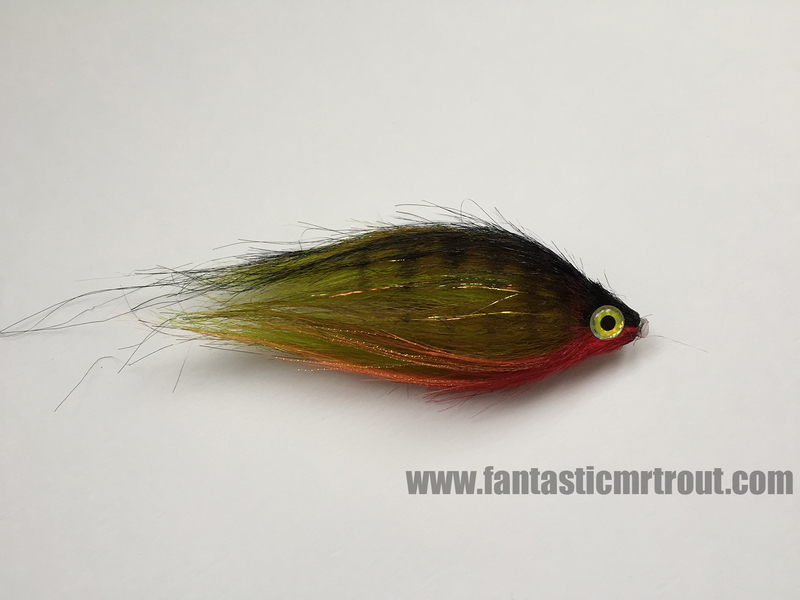 I would like to share with you my perch pattern that my clients and I have been catching a lot of fish on lately. I tie these in size 15-20cm long, I find that size to be just perfect for casting and also for catching big fish. Good luck out there and if be sure to check out my guided pike fishing trips. Last trip I did we had 40 pikes in a 4 hours of fishing. 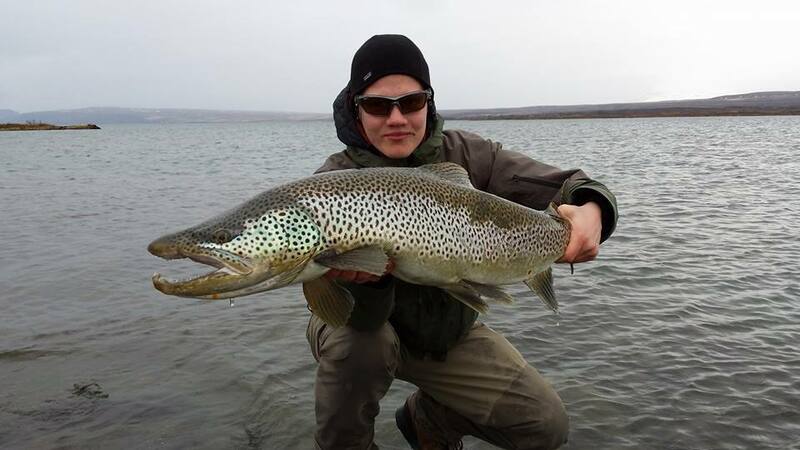 Join us in 2015 were we fish a lake known for its monster sized trout with the local expert and guide Þorsteinn Stefánsson. 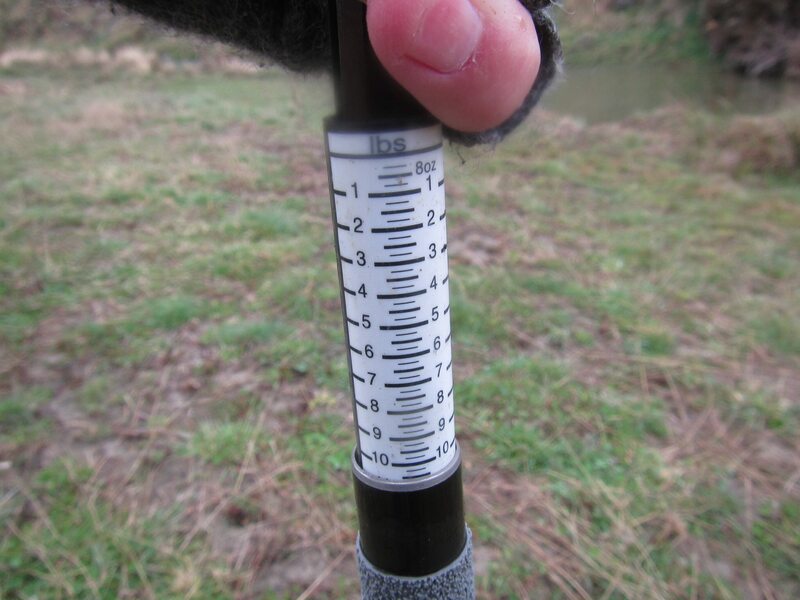 We will be targeting very large browns with an average size of 6lb but a big chance of hooking a 15 lb brown or bigger. This lake has very large trout swiming in it, and every year trout of 30lb is being landed here. We will also fish two spring creeks, known for their large trout. 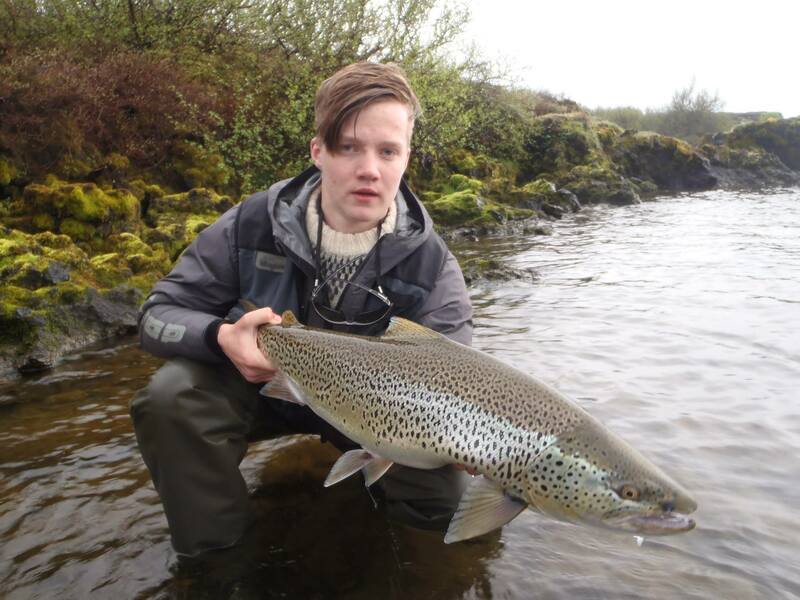 The group will have a total of 8 people, thats including me and Þorsteinn and we will split the group up between me and Þorsteinn when we fish, so it will only be a total of 4 anglers on the same beat at any given time. The rivers we will fish are only available for our group on the dates that we are there fishing. 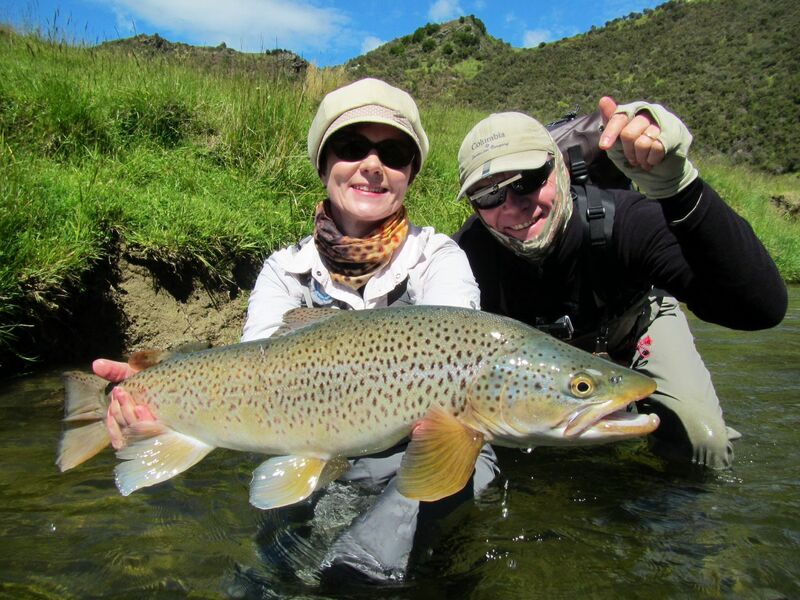 If you dream about fly fishing in New Zealand and have always wanted to catch that trophy trout on a dry-fly, This year is as good as it gets. The rumors of a mice years in New Zealand started earlier this year, many where sceptic and didn’t think it would happen. However, latest news around Arthur’s Pass is that its being overrun by mice. Reports from the far side of the planet are that 4lb trout are in the 7lb range now, 7-8 lb fish are in 10lb + size.. It´s madness! The mountain village of Arthur’s Pass has been invaded by the worst mice plague seen in 20 years, say locals. Two weeks ago, long time resident Eleanor Reid returned from holiday to discover her home had been hijacked by hundreds of mice. Since then she had been trapping about 50 rodents a day, with no end in sight. “We’ve been trapping for weeks. We’ve had hundreds of them,” she said. 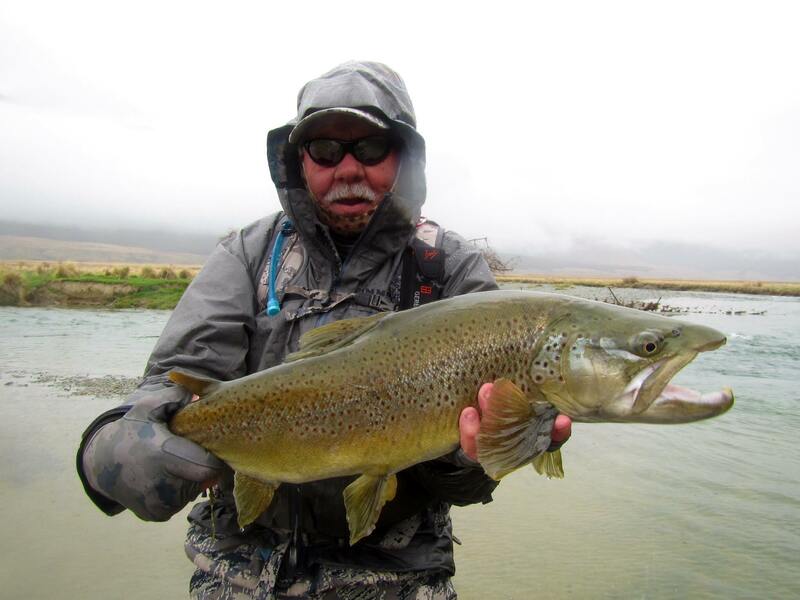 Angling pressure will be heavy in Arthur’s pass for sure, but with the right guide you will find the right spots where angling pressure has not been as bad. Contact me and I set you up with the best guide out there. 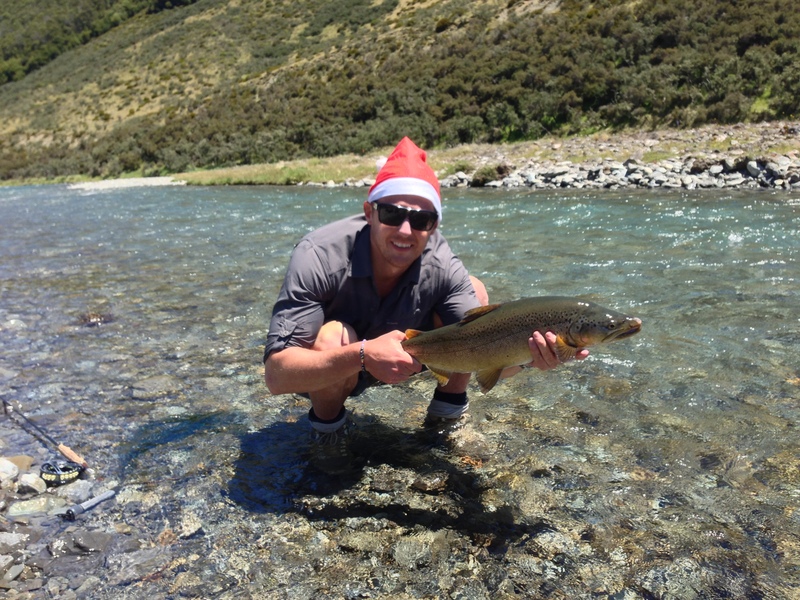 My guide in New Zealand is at it again, big fish and happy clients. Be sure to check out the New Zealand page on my website and book him for 2014/2015 season. A fantastic cast by Leea on a wee high country stream in very heavy winds… The fly landed where it had to and a very strong fish was eventually brought to the net. Tough day with very few fish out and we suspect we were following in others footsteps ahead. Still, you have to make the most of it, put your thinking cap on and find out what has to be done to get amongst! 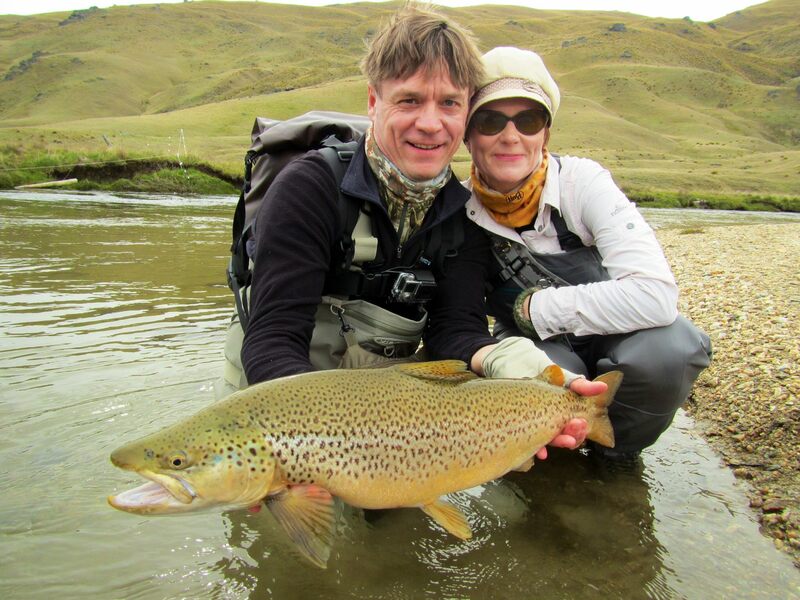 My guide from New Zealand is at it every day, chasing browns up stunning river valleys and he is doing a great job getting clients on big browns. A fun day sight fishing to large browns, and having an angler who could spot well too made all the difference. 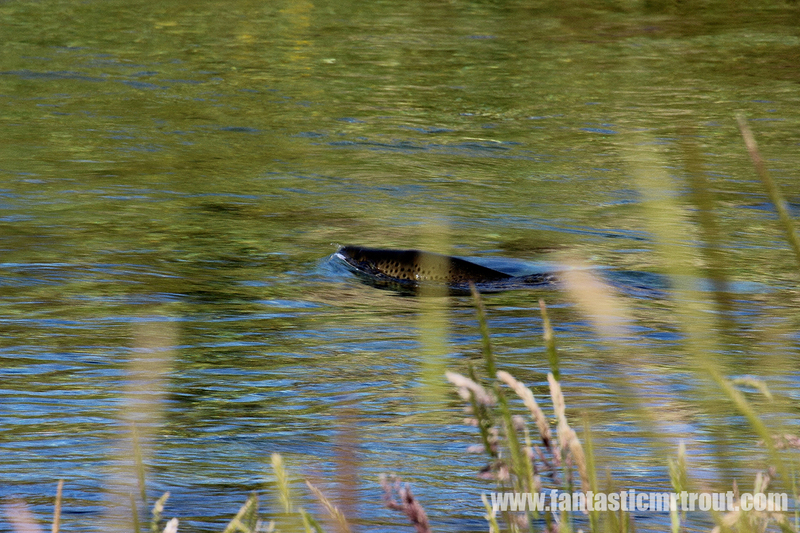 Fall is here and as trout are spawning in the rivers around scandinavia, my focus turns to the northern pike. 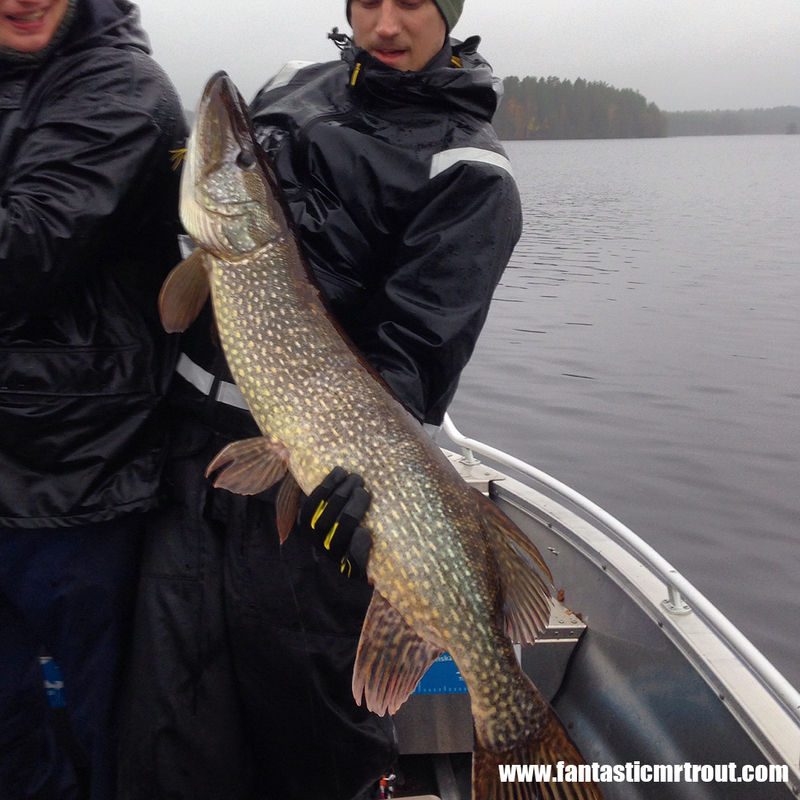 The colder weather and dropping water temperatures results in awesome pike fishing. Last weekend I went fishing with two anglers and we hade a great day in the rain. thirteen pikes landed, two of which measured above one meter long, the biggest one tipped the scale to 9kg/19,85 lb. As Europe is getting into winter time and there are hardly any rising trout left for this year, on the far side on our planet, in the promised land of trout, they are just getting into the 2014-15 trout season. 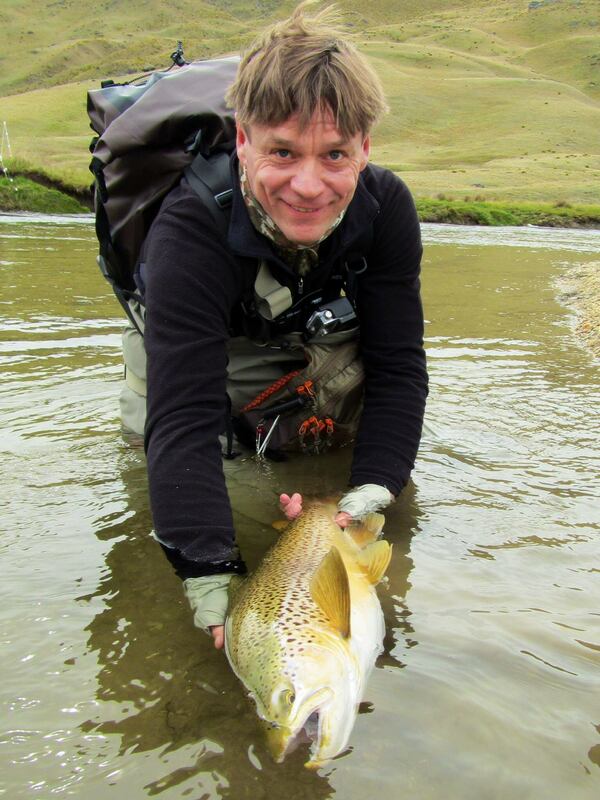 My good friend and local New Zealand guide Chris Dore have had a great start to the season. Here is the latest from him. Brutally cold on the river today. Fish simply weren’t out or were lying doggo on the bottom in the sudden chill. So we plugged on methodically, working the banks, and rocky runs with a double nymph combo. 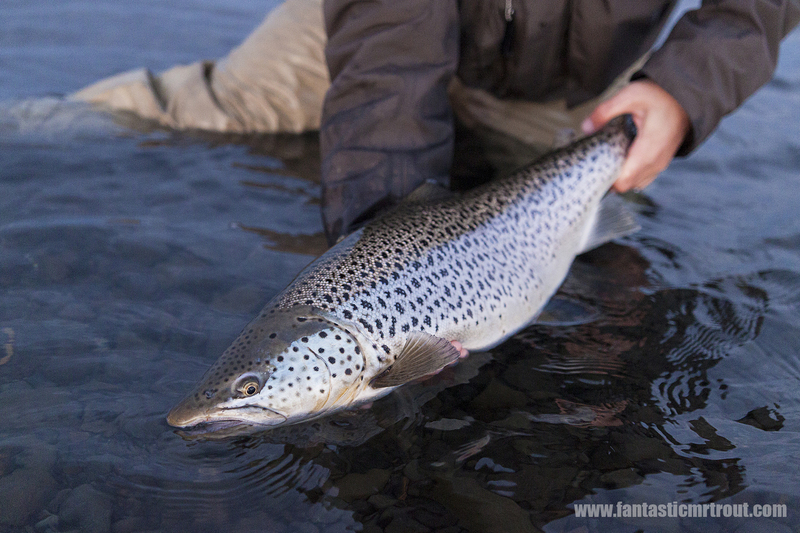 In these conditions you do what you have to do: no matter what you want to experience, you aren’t likely to find fish active in the open and rising to big dries… Client preferences come second as we do what we have to whilst looking for just that one shot. Today we did just that and Brian had to work very hard to keep the hands functioning as did the guide on the knots. It all paid off when we spotted a nice shape moving back and forth across a shingle fan. 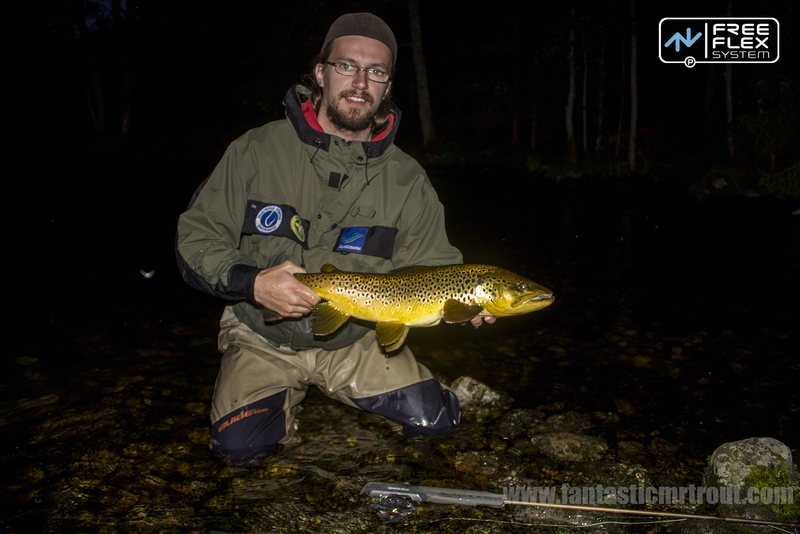 A great cast, aerobatic battle and fingers warm enough (just) to work the reel resulted in Brian’s first Double Digit Brown for the 2014 / 15 season. Well done mate! If your planning a trip to New Zealand this winter, please contact me. As the sun drops behind the trees, there is a moment of silence as we enter the twilight. 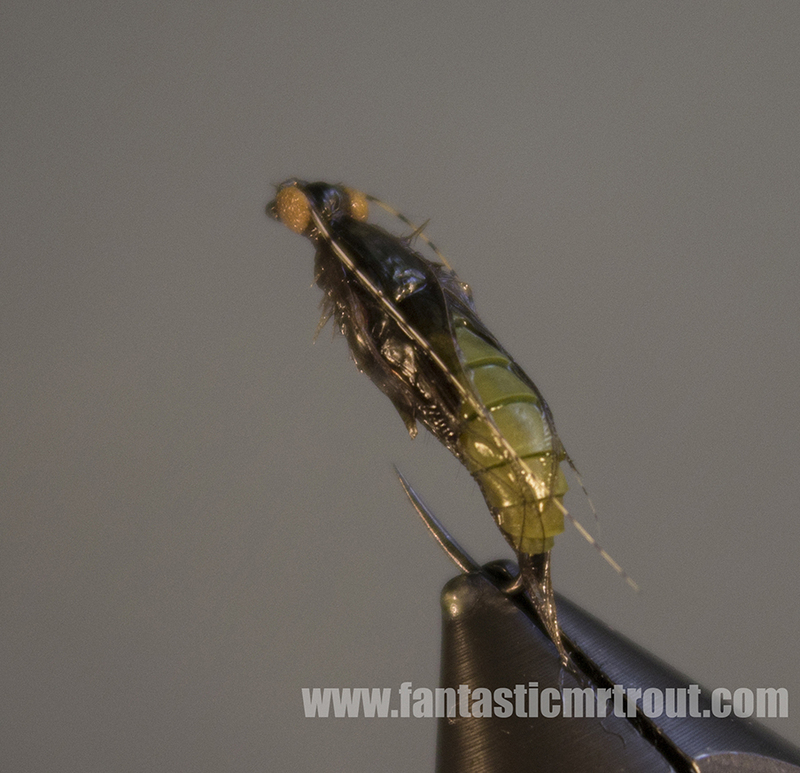 The birds had stopped chirping, the wind have vanished and I know that any moment now the caddis will start emerging. In the undergrowth beneath the surface, the caddis larva had been passing their time feeding on various plants and other microorganisms. When the heat of summer arrives, the rivers and lakes start to heat up. This is the time when the larva start to get restless and soon they will leave the undergrowth and take to the skies in winged form. Trout start feeding on caddis long before the anglers see the first rise, so understanding the basics feeding patters for a trout throughout the entire hatch is key to maximise your chances of catching that dream trout. The trout will feed on all three different stages of a hatch. The first stage is when the pupae lifts from the undergrowth and starts rising towards the surface. At first there is a small number of caddis lifting from the bottom, this will keep the trout close to the bottom and feed on these deep drifting pupae for an hour or so before the main hatch is in full swing. As the hatch intensifies the emerging caddis get trapped in the meniscus (surface film), creating a continuous supply of helpless pray. As the concentration of insects builds up in the meniscus, the surface quickly becomes the most efficiently place for trout to feed. This is the stage when we the angler first see the trout rising. Trout will usually feed on the emerging pupae trapped in the meniscus and not the full on adults that have managed to make their way through the meniscus. So the next time you encounter a caddis hatch, and your adult caddis fly get´s rejected time after time, try fishing an emerging pupae that hangs in the surface film. Once the hatch has ended, the crippled and drowned caddis will be the target for trout. These insects will end up in the back waters or if the river flows into a lake. Big trout will most probably be cruising around in this wast supply of food that can´t escape, trout loves an easy meal and seeking these areas out after a hatch can be very interesting. Late night caddis feeding trout.